Why should the resurgence of 80/90’s icons be limited to the action genre? Here’s a top 10 list of the best comedy movies from the late 70’s through to the 90’s that deserve sequels. Not updates or substitutions but the original stars coming back in some way to give the audience one last dose. Some of these are pure wishful thinking, but some of them… just need to get made. Yes sequels have been made for Dumb and there is one coming out with Ace’s son. But come on Jim Carrey. You are desperately seeking to get your career on track and to be funny again and your legitimacy as a straight actor has reached its limit. Go back to what you do best, you are guaranteed to big hits and two big pay days for these. Ok, so the latest rumor is Joshua Jackson is going to be a young Fletch in Fletch Won. 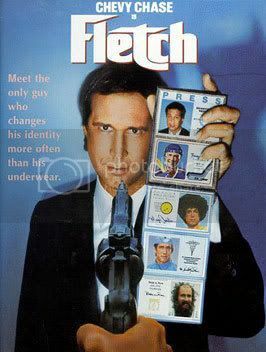 What the hell happened to the Jason Lee rumor as Fletch? Regardless, it’s all ridiculous. If Stallone can be Rambo at 62, Chevy Chase can play a news reporter at 65. Chevy, brush those disguises off and get back to investigative comedy. Ok…wishful thinking here. But come on, this is the real Old School. Maybe the remaining cast gets together for a Sideways or a Wild Hogs type reunion. 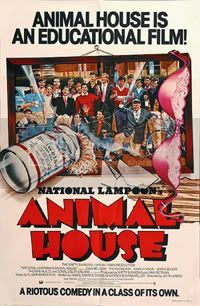 Or maybe it revolves around a new bunch of Delta Tau Chi, where old friends like D-Day, Flounder, Otter and Boon make cameos. Hey this idea is still better than any of those Revenge of the Nerd remake ideas. Adam Sandler is my hero, my idol. 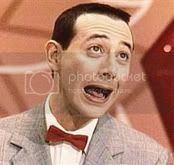 He has recognized his career is in a little bit of trouble and has enlisted Seth Rogan and Judd Apatow to fix all that. Adam my friend I have seen Billy Madison more than any other movie. This character will allow you to get back to some pure immature humor. Maybe he’s a college professor teaching business ethics. Conglomerates like Starbucks and McDonalds are infiltrating his campus and getting rid of the old style campus eateries and hang outs that Billy holds so dear to him. It is now up to him and a bunch of misfit students to rally the rest of the students body and the community against these corporate giants. Ridiculous? Absolutely! I appreciate your thoughts on where this character could go. Totally agree with Spies Like Us. I love that movie more than I should. Personally, I would like to see Leslie Nielsen and David Zucker reclaim their crown with a fourth Naked Gun. If Police Squad is still funny, there’s still a chance… right? They were made. All sub par. Rumor around L.A. is the Bill and Ted is actually a reboot for Direct to DVD release. yeah they already made an ace sequal. it was called, when nature calls. and it was a funny movie. Wait, wait, waaaait… Dalmatianjaws – you think Excellent Adventure is BETTER than Bogus Journey? Death rapping with a double bass? Bill and Ted as ghosts, looking down his stepmother’s top? Making the sign of the Devil to get Satan’s attention? (Later) RUFUS: “That was Denomolus, my old gym teacher. And sit-up champion of the 21st Century”. As good as Excellent Adventure is, surely the evidence says otherwise? I agree, Bogus Journey is one of the most underrated comedies out there. It’s genius. Way better than Excellent Adventure. I used to watch this movie all the time but I cannot for the life of me remember what its called, and really all I can remember about the movie is this lawyer (I assume) is chasing this ambulance and that it is a comedy from the 80’s or early 90’s. Any ideas would be appreciated.